This step is closely tied to ‘tracking actual performances’ above. Once you’ve completed WSSI, you can then decide if you need to replenish. Replenishments are best done while the products are still highly sought-after. It’s a missed opportunity if you don’t replenish those items, especially in today’s competitive market. To ensure you’re meeting demands, keep a close eye on your assortment and identify products that have a high sell-through (sell-out) rate. Seen here are the best-selling Crop Tops by Forever 21 which you can track to also identify key detailing such as wrap-front and cami strap. Use this dashboard link and find the set filters showing subcategories of Forever 21 and H&M. 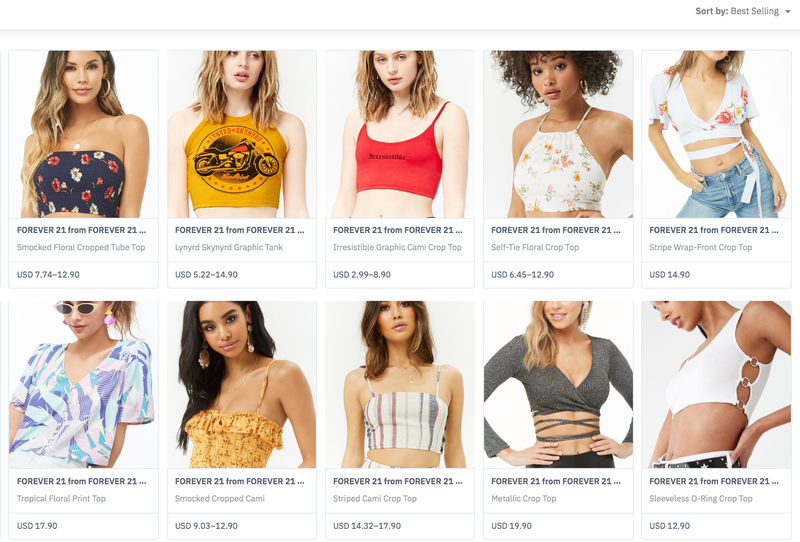 Select subcategory Crop Tops of Forever 21 by clicking at its coloured bar to draw up product images as shown above.